LAS CRUCES, NEW MEXICO — Jackie Joyner Kersee, 6-time Olympic medalist, will be the keynote speaker for the 8th annual Lou and Mary Henson Community Breakfast at the New Mexico Farm & Ranch Heritage Museum. The event takes place April 14 at 7 a.m. The breakfast raises funds for Las Cruces Boys & Girls Club. Source: Icsun-news.com. Jackie Joyner-Kersee ranked among the all-time greatest athletes in the women’s heptathlon as well as in the women’s long jump. She won three gold, one silver, and two bronze Olympic medals, in those two events at four different Olympic Games. Sports Illustrated for Women magazine voted Joyner-Kersee the Greatest Female Athlete of the 20th century, just ahead of Babe Didrikson Zaharias. After retiring as a competitive athlete, Joyner-Kersee has been involved with many philanthropic efforts and has joined the Board of Directors for USA Track & Field (USATF), the national governing body of the sport. She is also a popular motivational speaker and guest speaker. 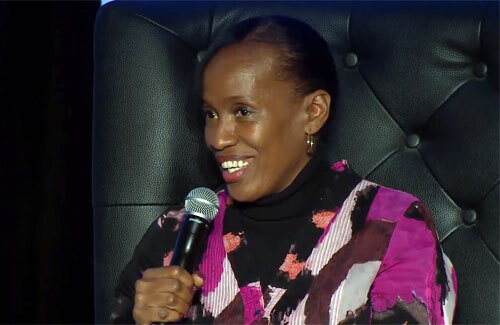 For booking Jackie Joyner-Kersee as your next speaker or to book Jackie Joyner-Kersee for an appearance or endorsement, contact Sports Speakers 360.